Renee Shepherd founded Renee's Garden in 1997. Renee says, "This seed line is my personal selection of new, exciting and unusual seed choices of time-tested heirlooms, the best international hybrids and fine open-pollinated varieties.” Renee is a prolific writer, both for her website and for national publications. She is a long time board member of the National Gardening Association. She lectures widely at national and regional garden shows and is a featured speaker at numerous gardening conferences. Gardening is an ongoing process, and, while timing is important, don't be overwhelmed by a sense of being too late to plant by some arbitrary date. All too often, I hear gardeners use a day of a particular month as though it was written in stone--for example, Northwesterners think sweet peas must be sown by Valentine's Day and New Englanders consider Memorial Day the "do or die" critical garden planting day. In truth, each season is different and garden planting dates have been even harder to peg down than the traditional wisdom would lead one to believe! I want to emphasize that it's not too late to plant a great garden, even in June and July. While it is true that fruiting plants like tomatoes, peppers, and eggplants need to be set out now, many, if not most, summer producers will grow even more quickly from seed planted in early summer when the soil is well warmed up and teeming with life. You'll be surprised how fast seeds will come up and explode with growth. Don't hesitate to plant seeds for beans, summer squash, beets, carrots, and chard. Start a crop of "cut and come again" salad mix in a spot with bright light but out of the full, hot sun. Plant heat- and sun-loving herbs like basil, oregano, thyme and sage with abandon, keeping the seed beds well moistened. Don't neglect to plant some fragrant scented basils in containers to heighten summer afternoon gardening pleasure. 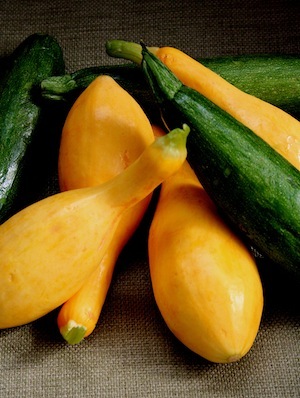 Even if you already have beans, squash, chard, carrots and basil in the ground, and your plants are growing well, June is a fine time to start a second crop to have ready for another bounteous late summer harvest when the first crops of these staples have finished up. I usually start seeds every month, finishing sowing summer-producing vegetables in late June. In July and August, I start seeds for fall crops like all kinds of lettuces, spinach, radishes, kale, leeks and carrots, and asian delicacies like pakchoi. You can still plant flowers, too! Planting later crops in June also applies to flowers! 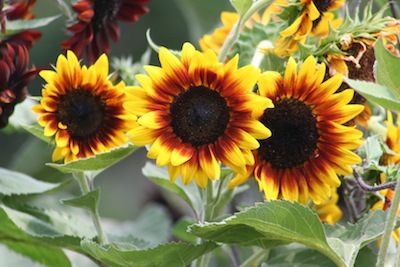 Plant more sunflowers, cosmos, zinnias, etc.--all of the annuals that usually burn out by late summer. This way, you'll have a marvelous second flush of bloom and can cut armfuls for Labor Day! June and July are also good times to start seeds for perennials and biennials to bloom next spring. I sow seeds in a protected seed bed and then transplant seedlings in fall to overwinter, then bloom, ensuring me a wonderful spring greeting in the garden next year. Reprinted with permission from Renee Shepherd, Renee’s Garden June 2011 E-Newsletter.